We love getting out and following trails. 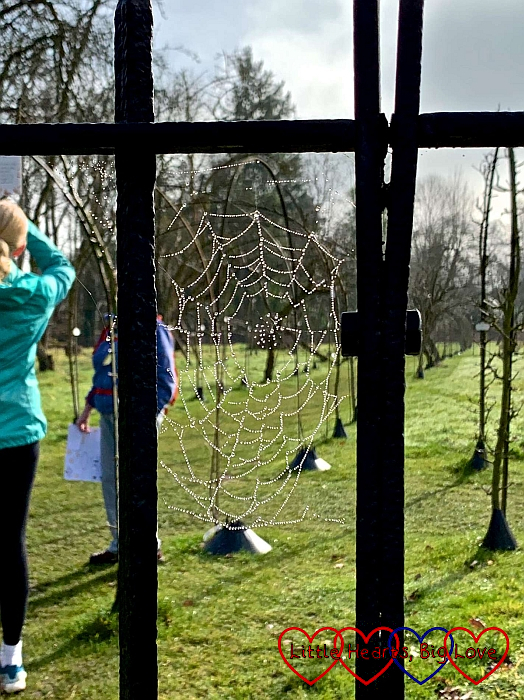 They’re such a great way of encouraging children out for a walk and getting them to explore nature. 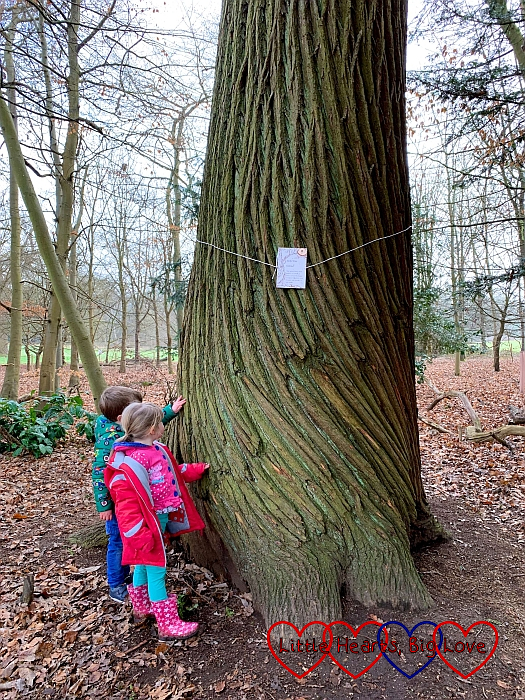 Over February half-term, there was a tree trail at Cliveden to explore. 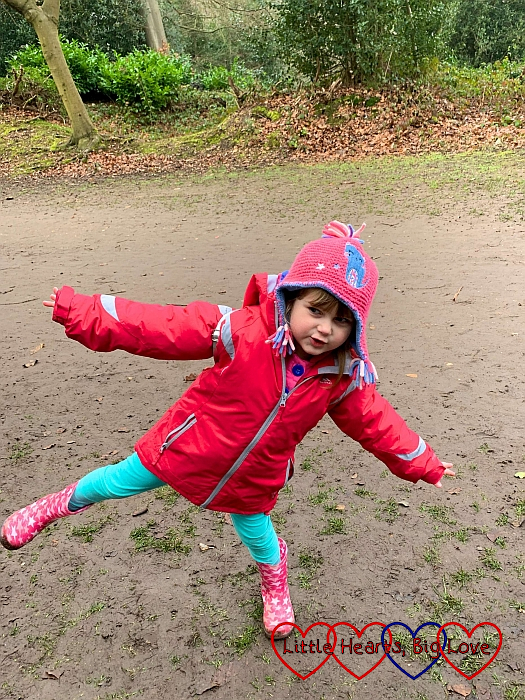 We met up with Sophie’s friend F and his mum to enjoy a fun day out, learning a little more about trees. Cliveden was very busy over half-term. I’d seen on social media that the car park had been full by 11am some days so we made sure we arrived early. Thankfully we managed to park without any problems and pick up our trail sheets from the information kiosk. Each of the points on the trail focused on a different part of the tree – such as the roots, trunk and branches. 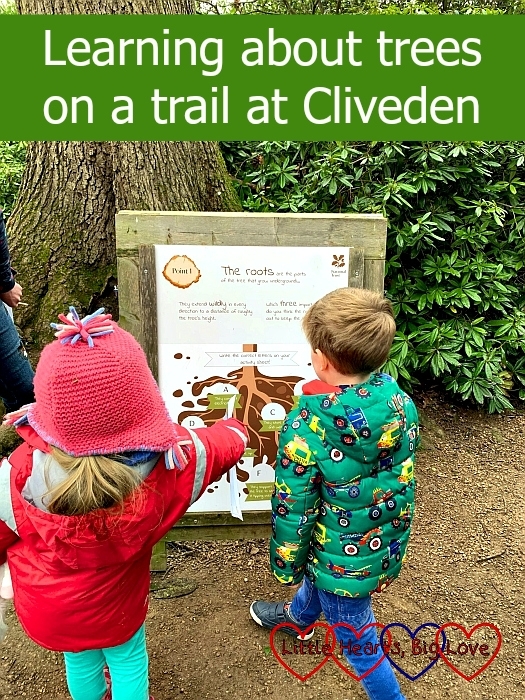 The trail sheet cost £2 per child. There were questions to answer using the information on the boards at each stop on the trail, plus some different types of tree to spot. 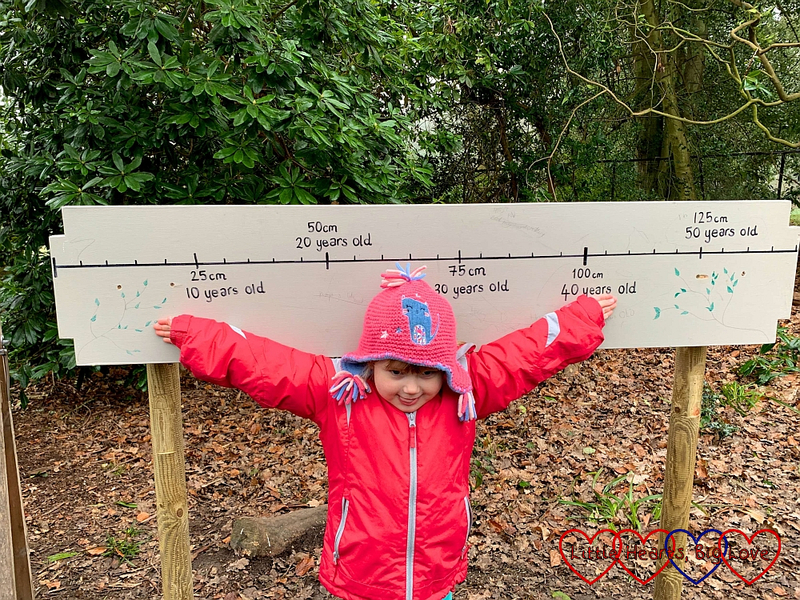 We had fun trying to work out the age of a big oak tree by joining hands around its trunk and then measuring our arm spans. It was so big that it took all four of us to measure around the trunk. We guessed from measuring our arms that it was probably around 200 years old. Sophie and F weren’t really all that interested in the information on the boards (although I did learn a few things from reading them myself). 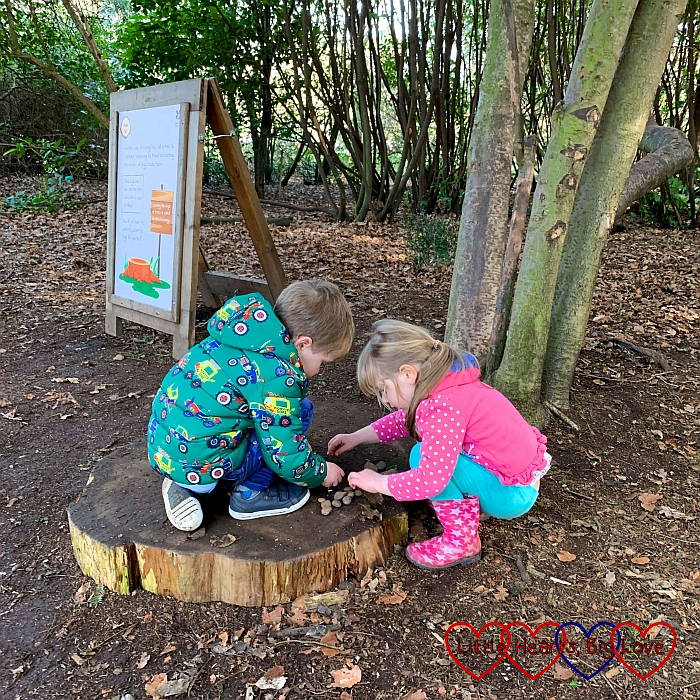 They did enjoy some of the suggested activities though, such as standing on one leg and pretending to be a tree, or making a picture on the ground using twigs and leaves. 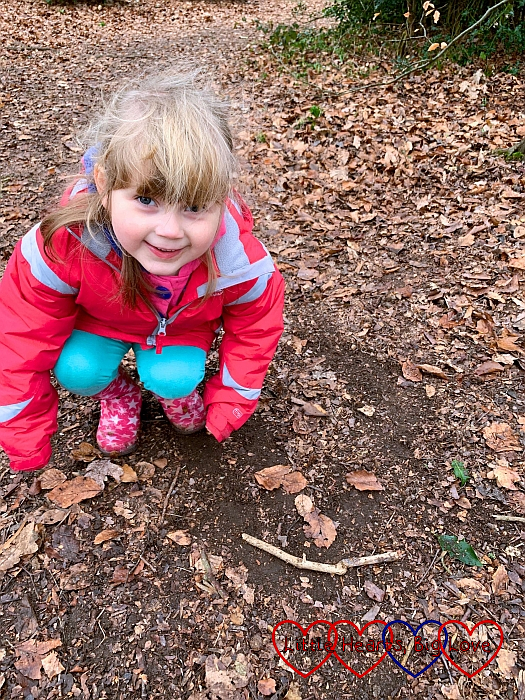 We made a new minibeast discovery when we stopped for a picnic and a bug settled on Sophie’s jacket. 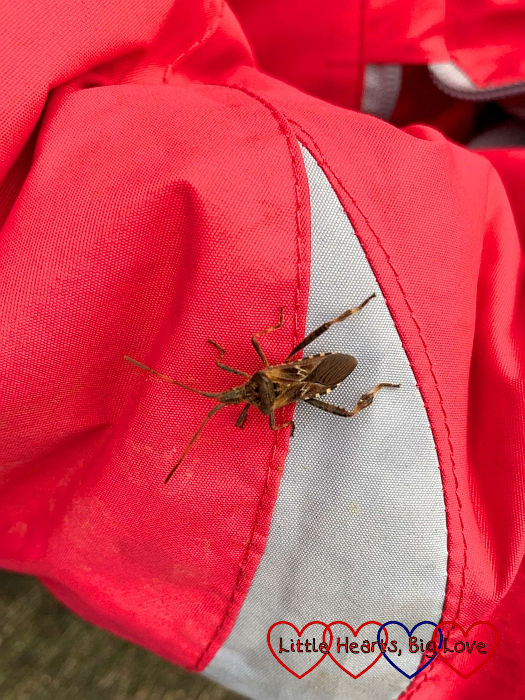 I found out afterwards that it was a Western Conifer seed bug – a large bug which feeds on pine trees. It is native to North America and has become established in the UK since 2007. You learn something new every day! We’ve been to Cliveden a few times, so it was nice that the trail took us to part of the grounds that we hadn’t explored before. The Round Garden was an interesting place to explore. It is possibly the only surviving example of a circular fruit orchard from the mid-19th century, with fruit trees growing over iron hoops over the pathways. 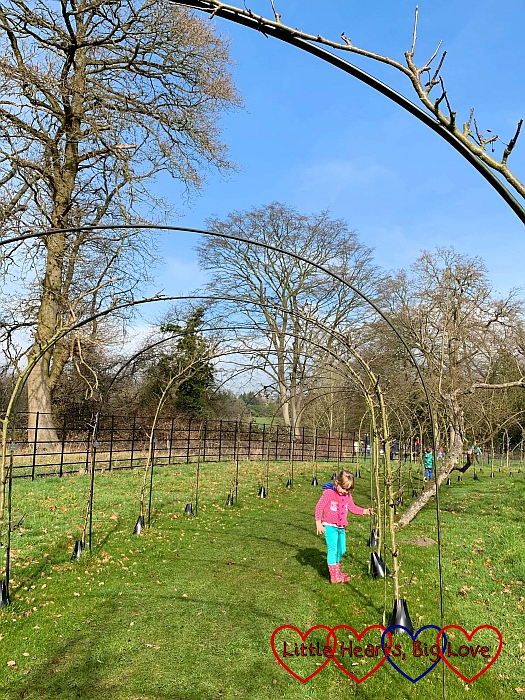 It used to grow a variety of different fruits, including plum, cherries, strawberries, apples, pears and blackberries and is in the process of being restored. I love how the woods provide such great opportunities for play. 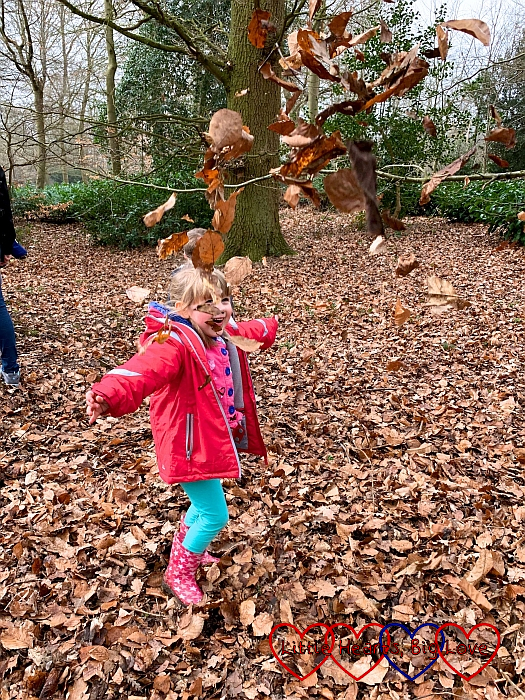 There are leaves to throw in the air, sticks that can become a hundred different things – wands, fishing rods, Sophie and F spent ages gathering pebbles and creating their own game with them. At one point, they decided to play hide and seek with the stones. Trying to find a small pebble hidden amongst leaves is not an easy task though! 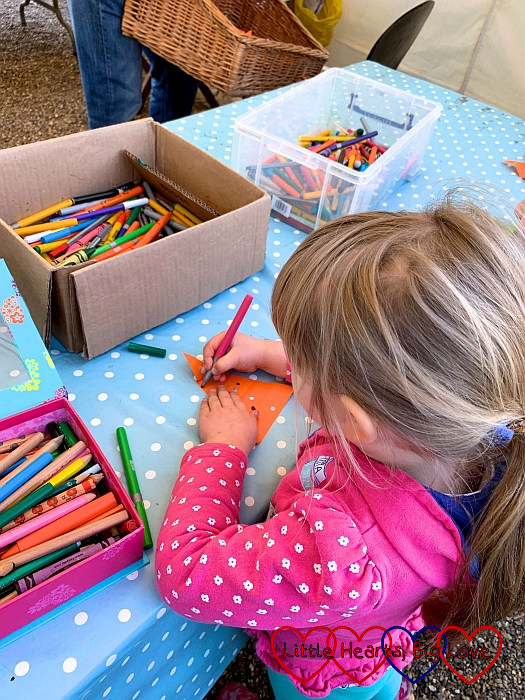 Once Sophie and F had finished their trail sheets, we headed back to the information kiosk where there was a tree-themed craft activity. 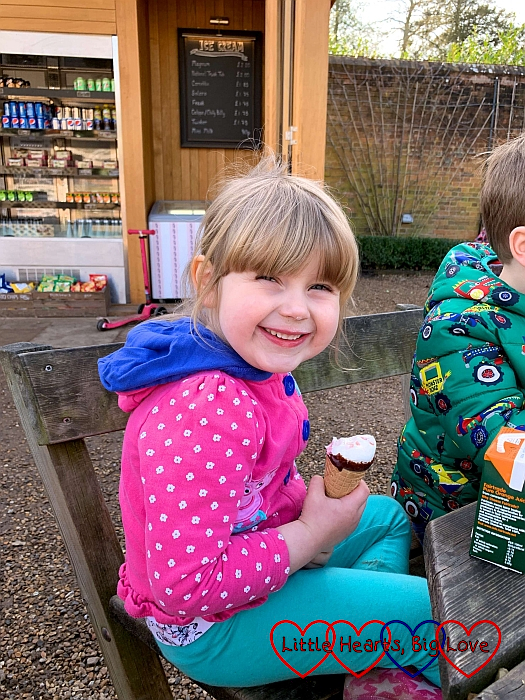 It was also a good point to stop for some ice-cream! We also stopped at the gift shop for a National Trust passport so that Sophie can start collecting stamps from different places. Thank you Over 40 and a Mum to One for letting me know about these! Sophie was quite keen to explore the maze, but F wasn’t quite so keen. 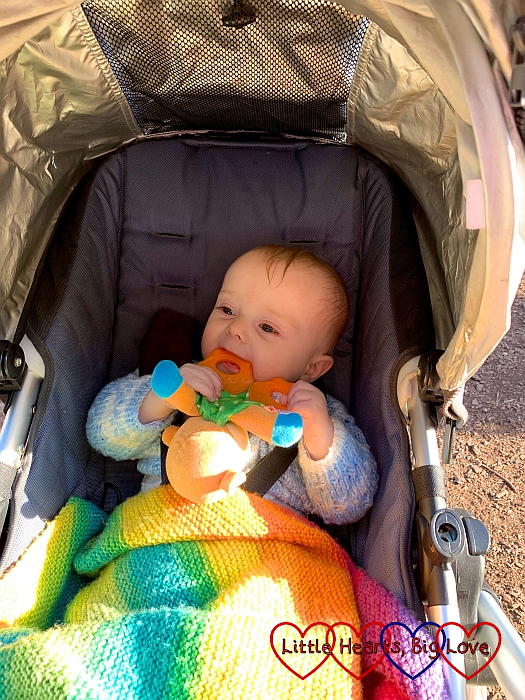 The paths in the maze are too narrow for buggies though and as Thomas had fallen asleep at this point, I was happy to wait outside the maze with F while Sophie went in with F’s mum. We decided to time how long it took them to find the centre and get back out again. They managed it in 12 minutes. We finished off the day at the Storybook Play Den where Sophie and F had a wonderful time climbing and playing on all the play equipment. 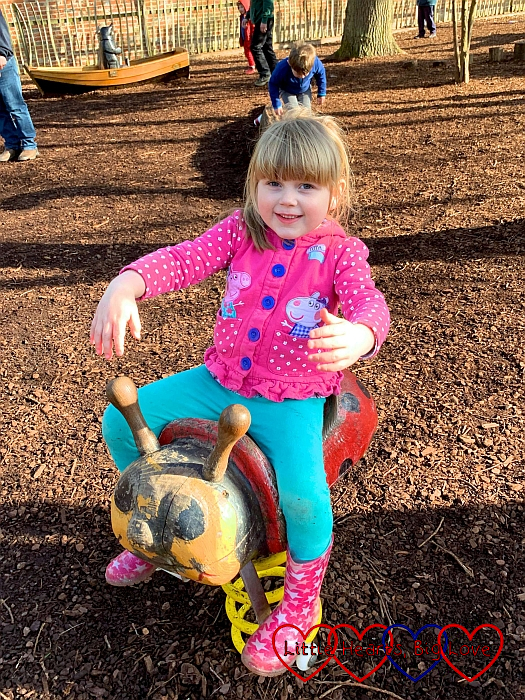 The play area at Cliveden is such a good one with plenty of things for the children to explore. It was lovely to watch Sophie and F having so much fun together and it brought back some happy memories of days out that we enjoyed with Jessica too. Opening times vary throughout the year. For more information click here. It looks like a lovely place to walk and I have to admit to do like a good information board! What a busy day! I love that they made their own game of hiding the pebbles. What a fun day out for Sophie and her friend F! She seems to have so much energy. Great photos, as always.